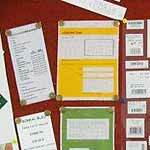 International standard softwares to develop different families of barcodes equipped with latest printing technology (Offset, Screen, Laser & Thermal) have been set up to procure barcodes in desires sizes and specifications suitable for varying needs of customers. 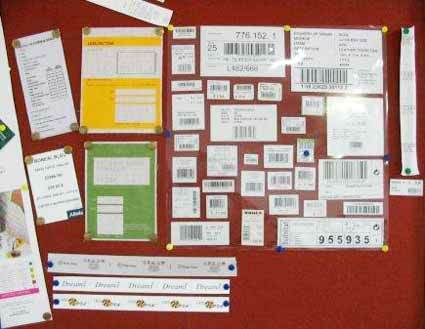 Scanners have also been installed to provide highest degree of accuracy. 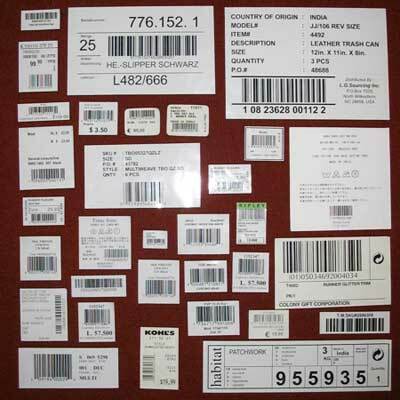 Barcodes & Labels : Our company boasts latest computers & Hi-Fi Printers and Scanners to manufacture all types and sizes of superior quality Barcodes. 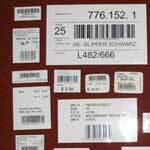 We bring every size of Barcodes in different colors manufactured on various surface to achieve highest Customer Satisfaction level. Client List : We have bagged an impressive list of clients, like Linen N Things, Liz Claiborne, Suite 109, Bed Bath & Beyond, Smith & Johnson, Garnet Hill, Bloomigdale's, Target, IKEA, Franc Franc, Hudson Bay, Laura Ashley, Futon Company, Golf & Co., Linen N Source, Coin, Metro, Scala Intl., Jane Seymour, etc.